The hotel has total 19 elegantly well appointed air-conditioned / air cooled guest rooms which are all different from each other. The rooms have been divided into five catogaries ,Spl. Jarokha, Jarokha, Super deluxe , deluxe and standard. 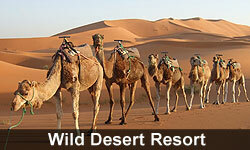 These rooms are equipped with all modern facilities of hot & cold water, telephone and television etc. The hotel has total 24 elegantly well appointed air-conditioned / air cooled guest rooms which are all different from each other. The rooms have been divided into five catogaries ,Spl. Jarokha, Jarokha, Super deluxe , deluxe and standard. 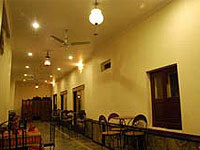 These rooms are equipped with all modern facilities of hot & cold water, telephone and television etc. The rooms are all equipped with traditional furniture and elligent fabric. Each room is very specious and equipped with all modern amenities. Every rooms has an attached neat & clean bathroom with hot-cold water facilities. 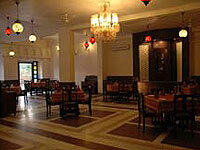 The room amenities are colour television with Satellite channels, telephone, safe and air-conditioning. Each guestroom has its own character and style, with furniture, soft furnishing and d�cor and delightful view that can be savored from the Jharokha (window seat). Hotel is equipped with well appointed deluxe and standard A.C., Non A.C. rooms and suites, all exclusively comfortable, spacious and elegantly appointed having unspoiled view.